Australian media frequently skew their reporting of Aboriginal issues towards common stereotypes, infuriating Aboriginal people. Most media get away with their downputting and ignorant treatment—except one columnist. Proportion of Aboriginal people who believe the media presents a balanced view of Aboriginal Australians . Proportion of non-Aboriginal Australians who believe the media presents a balanced view of Aboriginal people . Percentage of test persons who were successfully framed by media messages . Surveyed proportion of articles about Aboriginal health that were negative; that were neutral: 11%; that were positive: 15% . Page out of a total of 84 pages on which the Sun Herald reported about "critically endangered" Aboriginal languages . US academic John Sommerville wrote in 1999: "The news is not, in fact, a reflection of everything that goes on in the world, it is a reflection of everything that goes wrong in the world." The 1990s: Aboriginal issues are "problems for the majority culture"
The discussion about Aboriginal land rights during this time were presented as "problems for the majority culture" and almost as a potential threat to the population as a whole . Unfortunately this mindset is still prevalent in a lot of older Australians. Towards the end of the 1990s only one quarter of relevant articles contained any Aboriginal voices. "If it bleeds it leads," I was once told by a journalist. We are naturally attracted to shocking news and the media serves this attraction. Unfortunately they forget that media also has to be balanced. Rarely do journalists try to find out Aboriginal intentions and what they are trying to achieve with their protests. Yet including a positive Aboriginal story in a major news reel is a great chance to inform, and positively influence, the Australian public. Framing is another technique the media uses successfully. When the media attempts to frame you they try to influence how you organise, perceive, and communicate about reality. By simplifying reality media focuses on a subset of relevant aspects of a situation or issue (called 'emphasis frames'). This type of framing is very evident in media's reporting about Aboriginal people and alcohol, for example. "Unintentionally, I was judging Indigenous people"
"I realised that without even speaking, my initial views on Aboriginal and Torres Strait Islander individuals [were] judgemental, perceived as [if] these individuals [were] being up to no good. "My prejudice[d] views [were] because of what I had seen on the news, reading through articles in newspapers or hearing stories on the radio in the car. "Unintentionally, I was judging Indigenous people without even knowing or questioning if the source of information was indeed telling the whole story. I decided I had to look further into media and how especially in today’s society, we can be easily manipulated into thinking a certain way by the media." "I have learnt that information or misinformation in media is presented to the Australian population, labelling Indigenous individuals with stereotypical views... These views become impossible to shift because of media’s false portrayal of Indigenous people and communities. Media plays a significant role in how we perceive other individuals and how we opinion certain individuals, in particular Indigenous people." "I have realised the media is maybe only telling half the story, and that there is always two sides that must be heard. I have learnt to be inclined to do my own research and see if equality was represented in an article, radio report or news segment on television." Not reinforcing wrong stereotypes is a delicate business. In this article the ABC reports on how the BBC omitted footage showing efforts by the community to get their alcohol problem under control, reinforcing the alcohol abuse. But the ABC didn't fare better, using a stereotypical opening image rather than one showing the community's anti-alcohol efforts. Again and again journalists writing news are using discriminating stereotypes because they need to sell the news to an audience. But even if you are writing about another publication getting it wrong, you can easily make the same mistake as your competition, as the screenshot of the ABC article shows. The ABC reports about a BBC documentary about an Aboriginal community. The BBC failed to balance the footage they shot about alcohol misuse with the community's efforts to curb the abuse. But in doing so the ABC used a stereotypical image to open the article – a group of painted Aboriginal dancers – rather than doing better than their competition and adding an image that documents the community's efforts and successes in their fight against alcohol. With the image they chose they are merely reinforcing the association of Aboriginal people with painted dancers. In 2015, a white male with his car hit an 8-year-old Aboriginal boy on a bike, killing him. The man did not stop. He received an 18-month suspended sentence and 6 months in home detention. Media carried on as usual. "The fact that a man walks away with such a light sentence over the death of an Aboriginal child, and Australia stays largely silent about it, says a lot about the different laws in this country – one for black, and one for white. If this was a white kid in a different city, you can bet it would be on the front pages of newspapers around the country. And the fact that this week, we again as a nation would rather debate the latest Adam Goodes controversy, says even more about our unwillingness to confront the real problem in this country – the institutionalised racism that privileges non-Indigenous Australia over the First Peoples of this country." Media extensively covered the one-punch death of white teenager Cole Miller, but the one-punch death of Aboriginal man Trevor Duroux went almost unnoticed. No wonder that there is a perception among Aboriginal people that for the media black lives don’t matter, or at least nowhere near as much as white lives. When SBS got under pressure to increase its advertising revenue and ratings in 2015, executive producer of SBS World News, Andrew Clark, wrote to staff directing that stories about "Middle East, indigenous, asylum yarns" which were "of less interest to viewers" should be moved out of a crucial time segment. Although the broadcaster justified the measure as a "placement" and not "selection" issue, it tells you volumes about how attractive Aboriginal news are to both viewers and media. Australian media, and in particular the print media, is extremely concentrated with only 3 owners – News Limited, Fairfax Media and APN News and Media – holding approximately 98% of the sector, and two of these owners, News and Fairfax, together holding about 88% of the print media assets in the country . Both the US and the UK also have 3 major corporations, but they only control 26% (US) and 62% (UK) of the circulation . This limits the variety of original news and opinion average Australians consume every day. It limits in particular how much and in what tone Australians hear about Aboriginal people. Even established media organisations can get it wrong. The tax-funded Australian Broadcasting Corporation had to pay Aboriginal woman Rosalie Kunoth-Monks more than $130,000 for defamation . No surprise, then, that Aboriginal people are hesitant to talk to mainstream media. “The media does not look at us in a good light at all and hence my hesitation to speak to mainstream media. I keep to myself,” says Ms Kunoth-Monks. A 2015 survey of more than 350 articles about Aboriginal health, published over a 12-month period, backs her up. Almost 75% of these articles were negative, 11% neutral and only 15% positive . The problem is that reiterating negative stereotypes lets people expect them the next time they read about these topics and fuels prejudice, misconceptions, racism and ignorance. Boney asks: "The question that Indigenous media observers have to ask: is this genuine lack of understanding of Indigenous stories or a lazy reliance on old racist stereotypes?" The facts: An explosive device was hurled at a group of people in the One Mile community, on the outskirts of Broome. A woman picked up the object as it exploded, suffering serious injuries. Two other people, including a 13-year-old girl, were also injured. This should be headline news all over the country, shouldn't it? Not in Australia. The Chinese national press agency Xinhua covered the attack, yet most of the Australian media ignored it. In similar circumstances, papers usually use labels such as “potential hate crime” or “terrorist attack”, but in this instance the event was downplayed to a “prank that's gone seriously wrong”. It is telling that news from Aboriginal communities rarely gets covered unless the government cites a “national emergency” to justify deploying defence forces into communities. It is also telling that on the rare occasions when we hear about violence on the communities, it tends to focus on internal community violence and not violence perpetuated upon a community by outsiders. Watch Francis Kelly talk about the history of the Warlpiri Media Association, learn about BRACS, ICTV and NITV. He had described the complainants 'fair-skinned' and 'professional Aborigines' in the articles headlined 'It's so hip to be black' and 'White fellas in the black'. The articles suggested the group was 'rorting the system' and gaining benefit by identifying with only one aspect of their cultural heritage. I certainly don't accuse them of opportunism, even if full-blood Aborigines may wonder how such fair people can claim to be one of them and in some cases take black jobs. — Andrew Bolt in his article 'It's so hip to be black' . Note the use of derogative terms. The plaintiffs claimed the publications breached the Racial Discrimination Act. They did not seek financial compensation, but merely an apology from Mr Bolt's employer and the removal of the offending articles. One of the articles was still online in May 2011. In October 2011 Justice Bromberg ruled that Andrew Bolt and his employer, the Herald & Weekly Times, had in fact breached the Racial Discrimination Act 1975 . Mr Bolt admitted that the Aboriginal people he had mentioned in his article were of Aboriginal descent and genuinely self-identified as Aboriginal people. But he denied that they were offended by the articles . Justice Bromberg disagreed and found that the articles "contained erroneous facts, distortions of the truth and inflammatory and provocative language". As a result Mr Bolt's conduct was in breach of section 18D of the Act. Mr Bolt admitted to having failed to contact any of the people mentioned in the article, that some of his mainly online sources may have been incorrect, and that he had erred in places. In his judgement the justice noted "that young Aboriginal persons or others with vulnerability in relation to their identity, may be apprehensive to identify as Aboriginal or publicly identify as Aboriginal, as a result of witnessing the ferocity of Mr Bolt's attack on the individuals dealt with in the articles." It is important to note that the judge's ruling is not about the freedom of speech, as Mr Bolt and his supporters tried to point out. The case was about Mr Bolt's conduct and manner and the way he had written the articles. How can you complain about inappropriate media coverage? 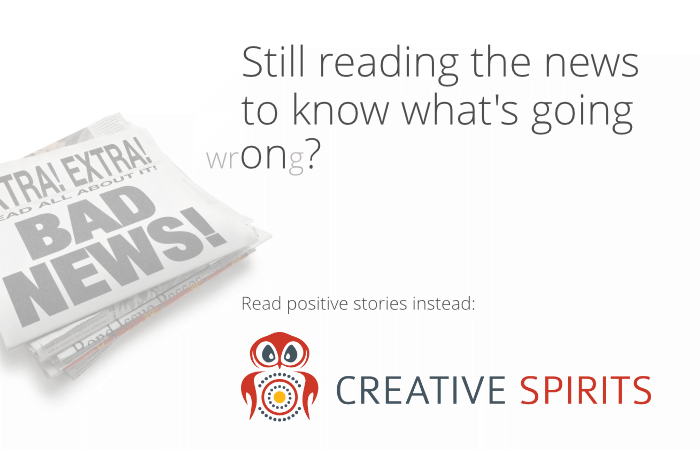 If you believe any media has put Aboriginal people or culture into a wrong perspective you can report it to the Australian Communications and Media Authority (ACMA). Contact ACMA to complain about something you've seen on TV, heard on the radio or seen on the Internet.